The XB24-AWI-EXT adds a wireless interface to a ProXR or ProXR Lite board. 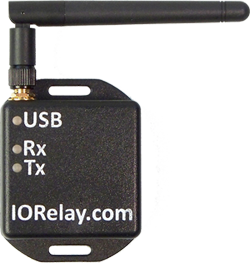 The 2.4 GHz 802.15.4 communications module adds wireless communications to the board. 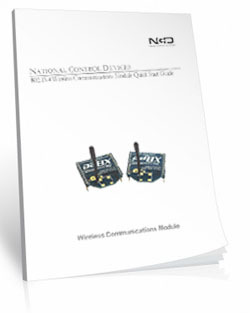 This module has a 1-mile (1.6 kilometer) wireless range, line of site. This module replaces any ProXR or ProXR Lite board's module even if you have a different module installed. This board is equipped with a 802.15.4 Module. The 802.15.4 communications module adds wireless communications to the board. The 802.15.4 module is powered from the board. The board itself will require 12 volts of power and can be hard wired or you can purchase a "wall wart" type Power Supply at checkout. This module is led free and RoHS Compliant. If your requirements are for RoHS compliant parts this board is manufactured with RoHS compliant led free parts and solder. The XBP24-AUI-EXT_ZIGMO modem is required. It plugs into the UPS port on your PC and will mount as a COM port. Next, send commands to the COM port as and the modem will forward the commands wirelessly to the board!. That's all there is to it!!! It is possible to communicate to many 802.15.4 devices within range. This modem is Powered by the USB Port and includes USB Cable and Enclosure. 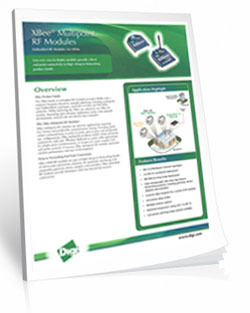 Below are the Data Sheets Quick Start Guides for this module.